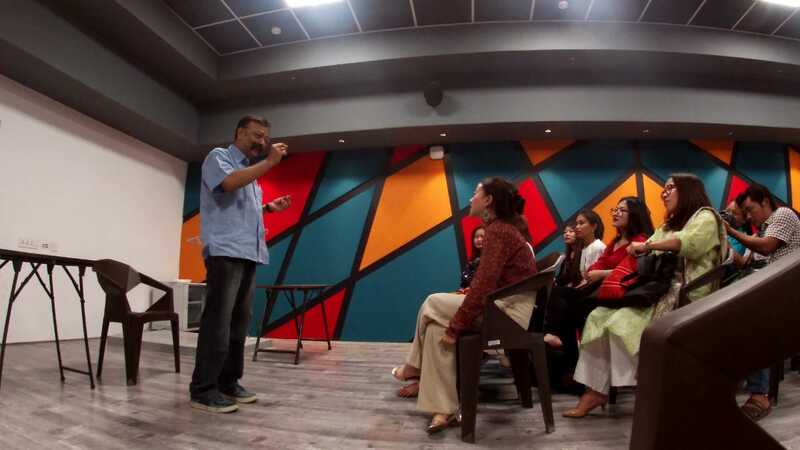 The students had come all the way from the Rajiv Gandhi University (RGU) in Arunachal Pradesh – my students (I am a visiting faculty to their campus and had had the pleasure of interacting with them last summer). Officially, they were on a College excursion, a study tour. 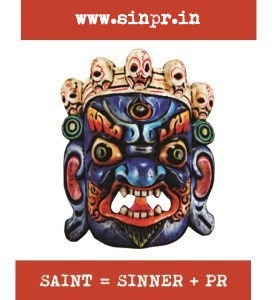 They visited the Satyajit Ray Film and Television Institute (SRFTI), the spent time with my fellow alumnus from the St Xavier’s College the irreplaceable Jimmy Tangree, who introduced them to the airwaves and shared the secret of dominating the medium like he has been doing for decades at an end now. 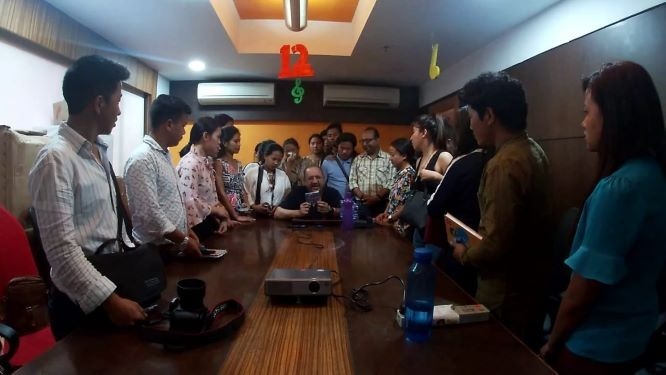 They visited the Bhawanipur Education Society College (BESC) where they participated a number of events and witnessed the signing of a letter of intent that will hopefully lead to a MoU for student and faculty exchange between the two institutes. But there was nothing official about the love that they came bearing. There was no protocol, no set agenda, in the spontaneous soul connects. I was overwhelmed when Taba Tani put his hand on his heart to express his desire to visit Netaji Subhash Chandra Bose’s residence. 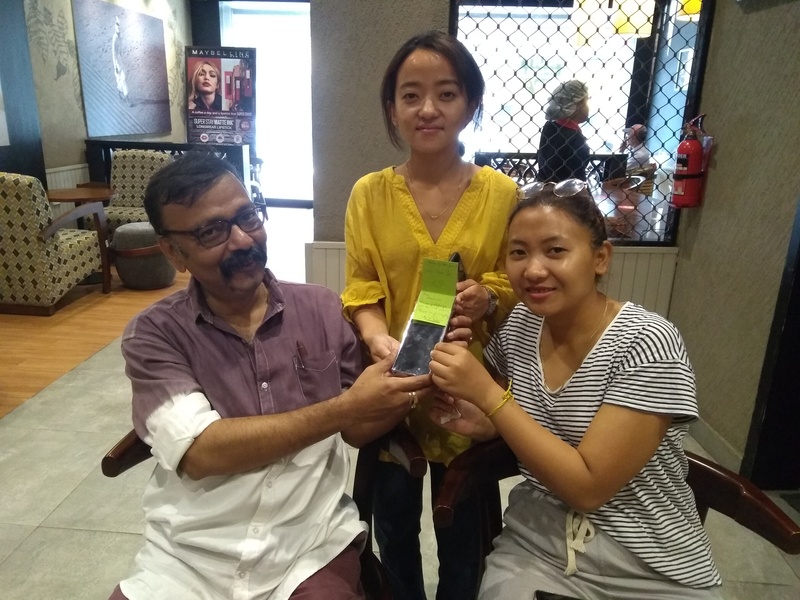 I was emotionally swayed by their love for my city and her people when Messoni recollected with gratitude how a stranger had returned the costly mobile phone that she had misplaced. 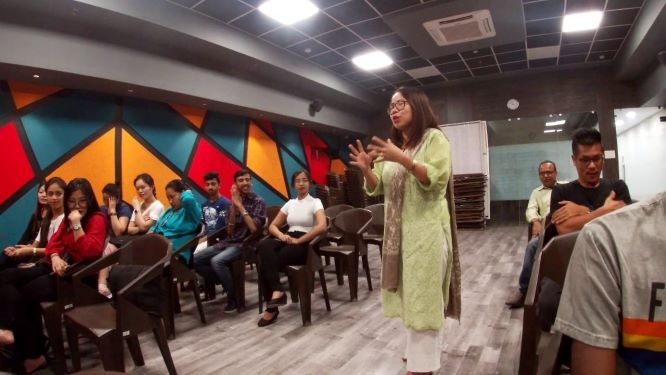 I was moved when Prof Yami Teli – their accompanying faculty expressed her desire, which was seconded by all the members of the team, to sample Kolkata’s street food. I guess, simple are the little pleasures of life – and priceless they are in terms of purity. How the three days vanished I do not know, I guess, these experts of Mass Communications might have used some filter that fast forwarded the time, turning everything into a blur of joy. Like a snowflake in the river, they were “a moment white, then lost forever” and it was time to bid adieu. Tuki and Messoni called on me with a mysterious packet that was wrapped in a silver wrapping paper. “It has a fountain pen” Messoni said, perhaps unable to bear my curiosity which I was desperately trying not to express, as usual, being gracious to a fault. They also let me know how they had all contributed to buy the pen, for how could they get anything else for someone who is so obviously obsessed with something that to most have lost its relevance? Did my voice choke? Did I try to supress the tears that were welling up in my eyes. Yes. I have received many gifts in my life. But this one, is special. It will always remain so. 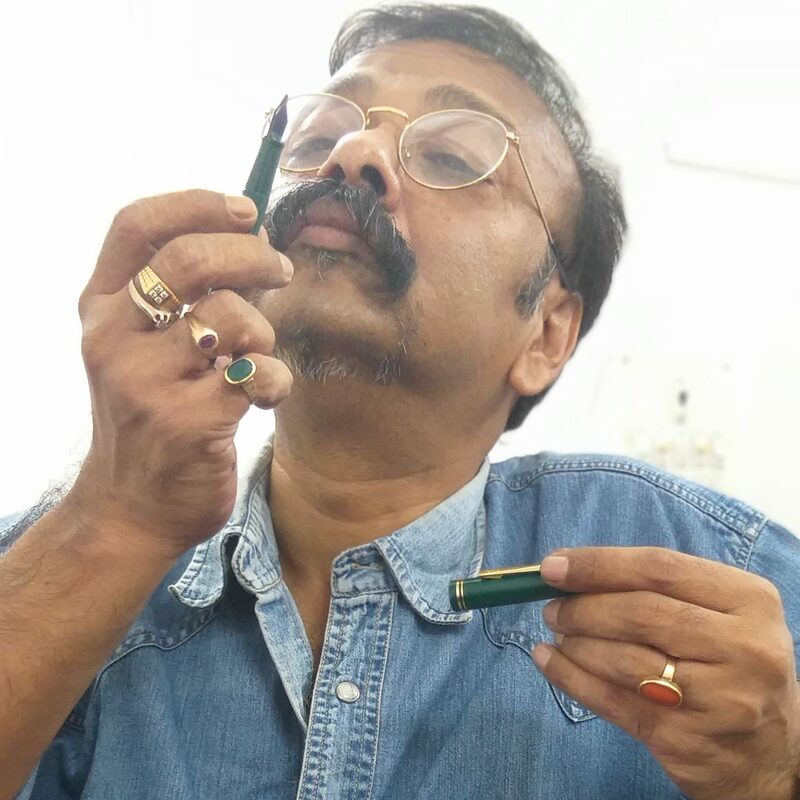 And no, it will not be special because it is a fountain pen (I know coming from me that sounds like sacrilege) – it will be special for the love and affection that it symbolises. Like Confucius said, “a true lover values, not so much the gift of the lover, as the love of the giver”. That doesn’t however, mean that the gift, in itself, is not something to write home about. It is a Cross Fountain pen – Lustrous Chrome Stylo Plume at that. The stain-less steel body and nib of the pen alluding at the blemish-less purity of the affection and the steely resolve to maintain it, forever. All I can say is that the feelings are mutual. It was in 1846 that Richard Cross has made the first Cross product and since then, the A T Cross Company has been a force to reckon with in the world of writing instruments, reinventing as they proudly claim, “the writing instrument category, combining design ingenuity with jewelry-quality craftsmanship”. 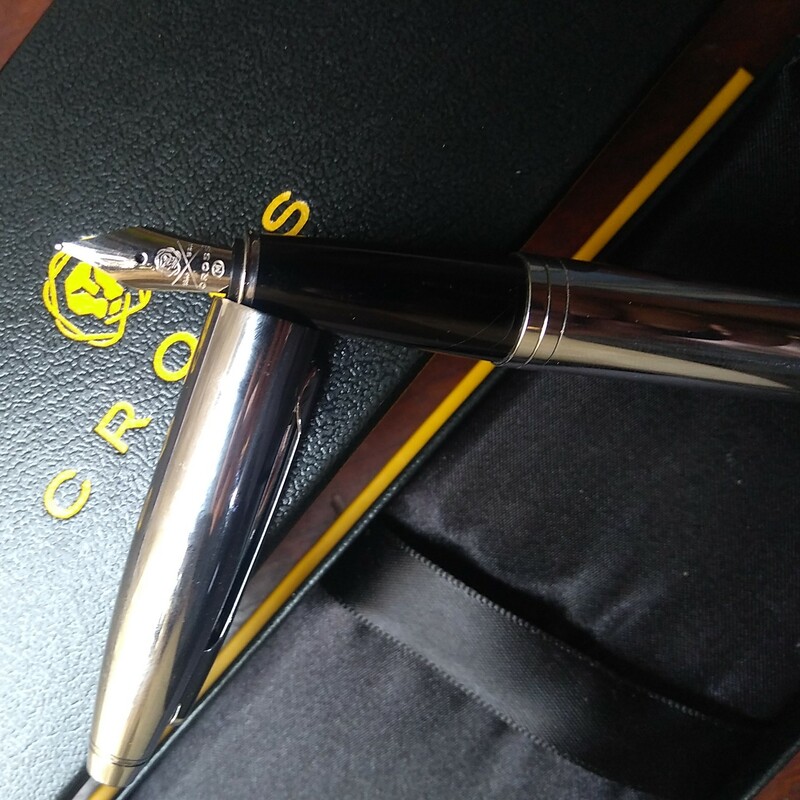 Cross was the first manufacturer of quality writing instruments in America, which in itself means that they have been making pens that people use, depend on and enjoy for an inordinately long time now. A cursory glance is all that it takes for one to fall in love with the Cross. Writing with it is destined to turn that love into a lifelong affair. The ink flows like a mother’s kindness; the feel of cold steel, especially to wordsmiths like us, is empowerment personified; the nib glides on paper the way silk slides off the skin and the balance – perhaps because of its ergonomic design and the weight of the material – makes it surprisingly user friendly, banishing the very term “writer’s fatigue” from the lexicon. The might of the pen has long been compared to that of a sword and going by the same allusion, this pen, by all means is the Sabre – the first choice of infantry and cavalries for its ability to cut as well as draw blood with its thrusts – the weapon of choice in combats that comprehensively spelled the difference between victory and defeat, between life and death. But I will not wear the Cross ceremonially, leave alone raise it in a charge. I will not carry the sword in my scabbard. I will not use it as a weapon of mass destruction – on the contrary, I will use the Cross as my rapier to spread knowledge, as my steel of mass communication. And I will carry it in my shirt pocket, next to where the heart beats. The pen is mightier than the sword, my friends, because love conquers with words where all else fails and the Cross that I carry in your memory today is one that will power your communication efforts tomorrow, the pen that I carry, I prey, will script your success stories for aeons to come. I will not belittle your affection by thanking you – may God shower His choicest blessings on all of you always! I am touched by your perfect words in harmony, dancing through time as we bluebirds of Himalayan flew by your lovingly warmth ambiance. We will always cherish the day we spent with you and hoping for positive outcome of the letter of intent forwarded. Cannot wait to meet you again young man! With love from Arunachal..
What a fountainhead of thought, “Crossed” the minds of these young students! and to gift a Cross fountain pen to you! I am so glad for you and can empathise the intense feelings you must have been engulfed in. 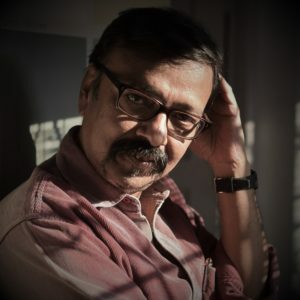 May you cross many barriers and solve many issues to emerge victorious, with your steel cross, to bring your readers more and more delights of writing and the instruments!